The Lumia 950 is a smartphone with Snapdragon 808 CPU, Hexa Core processor at 1.8 GHz, 20-megapixel Pure View rear camera with autofocus and triple LED flash, 5-megapixel wide-angle front camera, AMOLED screen of 5.2 Inch with Gorilla Glass protection and 4K video resolution. Obviously, it has support for connectivity 4G LTE, a battery of 3000 mAh that guarantees a battery life of 275 hours in standby and other characteristics typical of the range to which it belongs (and that in fact have made it one of the devices more known in the world). 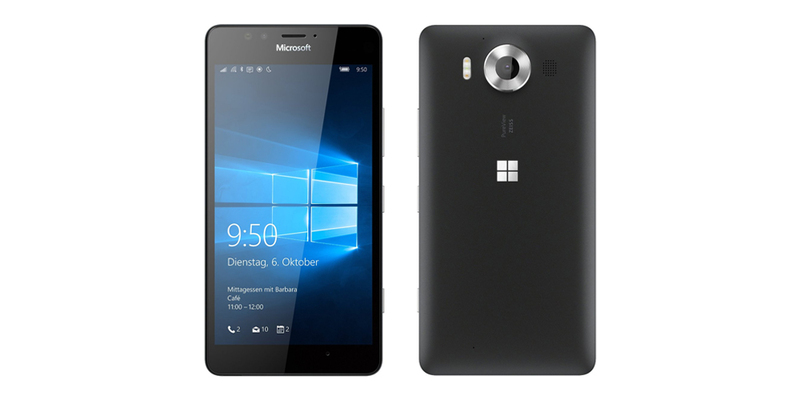 The Lumia 950 -version with 32 GB of internal storage- costs $ 294.99 on Amazon (shipping costs included) and you can get it by clicking on the link that we left in the first paragraph. Just in case, we recommend you to take this offer (if you are interested) as soon as possible, since they do not usually last forever (neither discounts nor high-end smartphones at low prices), especially when we are just over a month for Christmas, and this year the main online stores are preparing for the arrival with great special promotions like Black Friday. In short, one of the most interesting today's deals for technology lovers.